Gallery Links at Indian Palms Country Club is an active lifestyle community in Indio, California. This beautiful neighborhood will consist of 86 single-family homes upon completion. Located within the 3,000-home Indian Palms Country Club, the Gallery Links community provides gorgeous residences in a picturesque setting, offering homeowners the amenities and lifestyle for the best in resort living. Residents of Gallery Links enjoy access to the amenities at the Indian Palms Country Club Lifestyle Center. The Lifestyle Center is the hub of the community, where homeowners gather to stay in-shape or socialize with other residents. A fully equipped fitness center has cardiovascular and weight machines to keep you in your best shape while the La Palma Restaurant and Bar is great for catching up with friends. The Lifestyle Center also offers residents a banquet hall for events and a boutique-style hotel for guests. The resort-style amenities continue outdoors. Two outdoor pools, spas and patio are terrific for enjoying the gorgeous year-round Southern California climate. Gallery Links at Indian Palms Country Club is a golf lover's paradise with the nine-hole Mountain, Royal and Indian golf courses. Available for an additional fee, these USGA Championship courses are designed to reward accuracy over strength. A putting green and a driving range are also available for honing your skills. Gallery Homes provides three separate floor plans. These homes range in size from 1,858 to over 2,200 square feet and offer two or three bedrooms, two or two-and-a-half bathrooms and an attached two or two-and-a-half-car garage. Some of these homes have desirable features like fairway views, open floor plans and an outdoor fireplace. Gallery Links at Indian Palms Country Club is dedicated to resort-style living. The homeowners association fee covers front, rear, and side landscaping, giving residents more time to pursue their own hobbies and socialize with neighbors. With a lifestyle director within Gallery Links, there are several ways to keep yourself busy both physically and socially. Get to know your neighbors with holiday parties, happy hours and karaoke nights. Diversify your exercise routine with aqua classes, yoga, or Zumba. However you like to spend your free time, Gallery Links at Indian Palms Country Club will provide plenty of options. Gallery Links at Indian Palms Country Club is located in Indio, California. The Jackson Square shopping center is just across the street and features all of the daily conveniences anyone could need including restaurants, banks and a Wal-Mart. The John F. Kennedy Memorial Hospital is less than three miles away from the community gates. Interstate 10 is less than four miles away and, for farther travel, the Palm Springs International Airport is 23 miles from the community. 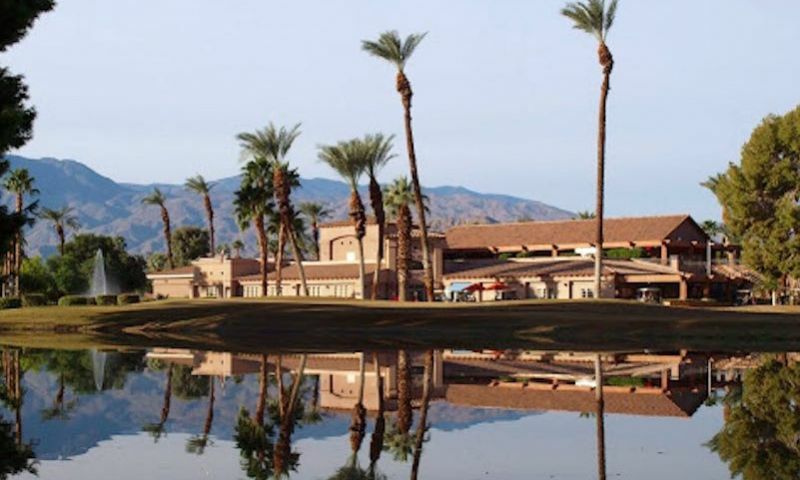 There are dozens of golf courses in the region and the Palm Springs area is renowned for its recreational opportunities including the Mount San Jacinto State Park, Indian Hills Palms Park and the Salton Sea State Park. Gallery Links at Indian Palms Country Club provides a luxurious resort-style active lifestyle community in Southern California. Although Gallery Links does not have their own amenities, residents have access to the Indian Palms Country Club Lifestyle Center. For an additional fee, residents can play on the three golf courses in Indian Palms Country Club. There are plenty of activities available in Gallery Links at Indian Palms Country Club. Here is a sample of some of the clubs, activities and classes offered here. The homes within Gallery Links at Indian Palms Country Club range in size from 1,858 to over 2,200 square feet and offer two or three bedrooms, two or two-and-a-half bathrooms and an attached two or two-and-a-half-car garage. Some of these homes have desirable features like fairway views, open floor plans, and an outdoor fireplace. 55places.com is not affiliated with the developer(s) or homeowners association of Gallery Links at Indian Palms Country Club. The information you submit is distributed to a 55places.com Partner Agent, who is a licensed real estate agent. The information regarding Gallery Links at Indian Palms Country Club has not been verified or approved by the developer or homeowners association. Please verify all information prior to purchasing. 55places.com is not responsible for any errors regarding the information displayed on this website.